When patients are diagnosed with a serious illness, many issues arise: How will I take care of my family? How will I get to all of my appointments? How can I deal with my pain? How will I deal with this financially? How can I manage my stress, anxiety and fear? 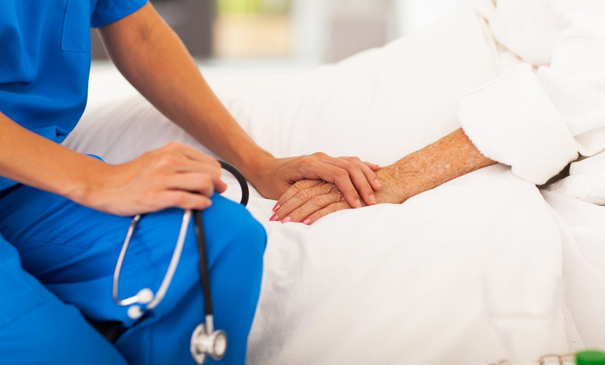 Virginia Mason’s Palliative Care Program helps relieve suffering and improve the quality of care and overall experience for patients going through a serious illness. Palliative care is a holistic approach provided by a team of palliative care doctors, nurses, social workers, and chaplains who work together with a patient’s other doctors to incorporate psychological, social and spiritual well-being into a treatment plan. Palliative care is appropriate at any age and any stage in a serious illness. Mary Johnson, 53, was an active woman when she was diagnosed with a life-changing illness, metastatic ovarian cancer. At the time of her diagnosis, Mary’s oncologist recommended that she and her husband visit the palliative care team at Virginia Mason. The team worked with Mary and her husband to base her treatment on what was most important to the couple. For Mary, this was ensuring that her illness didn’t disrupt daily life with her family. Palliative care was integrated into Mary’s cancer treatment early in the process and her team worked with her oncologist to provide a personalized approach to her care. She received spiritual, emotional and symptom management support so she could be at home with her family. The Virginia Mason Palliative care is a developing area of health care at Virginia Mason and the Virginia Mason Foundation is supporting the program. This year the Towboat Invitational Golf Tournament helped support this cause. The event raised $340,000 for Virginia Mason and the Boys & Girls Club of Southwestern Oregon. The event is sponsored and hosted by marine transportation companies Foss Maritime, Harley Marine Services and Sause Bros.